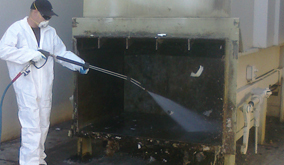 Dumpster pad cleaning is very important and if overlooked can cause environmental and health issues. Regular pressure washing of your dumpster pad in Prescott is highly recommended to prevent issues such as rodent / insect infestations, bacteria growth, foul odors and slip and fall accidents that can be caused from grease and other slippery substances commonly found in dumpster pad areas. 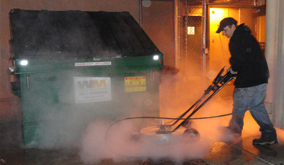 Our pressure washing service includes degreasing, deodorizing and sanitizing your dumpster pad, exterior dumpster container and dumpster pad walls. 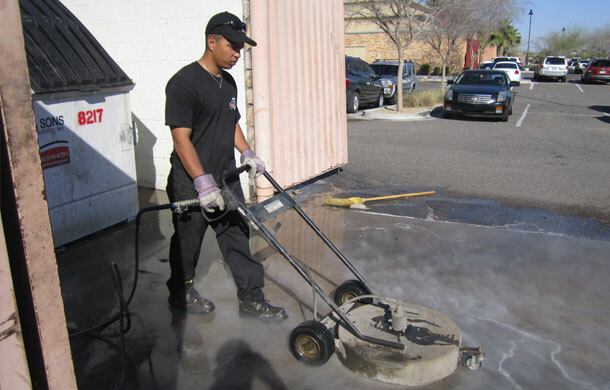 Call AZ PowerWash Pros today to eliminate and prevent hazards around your dumpster pad in the Prescott, AZ – Valley area. 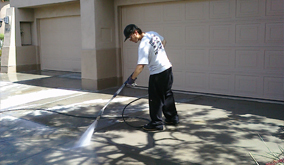 Call AZ Power Wash Pros for dumpster pad cleaning services in Prescott, Arizona.